Gift this key chain to the special person who defines the meaning of love in your life. 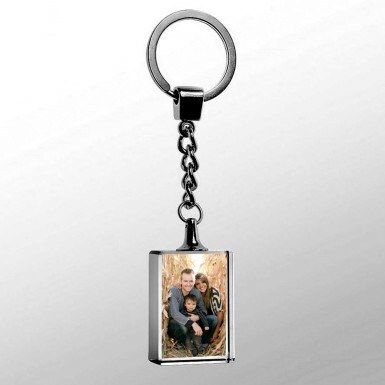 You can express your heartfelt emotions with this heart-touching personalized Rectangular keychain, where you can imprint the pic of your beloved one on this item. You can also gift this key chain to your lover on his/her special day. So place your order for this Key chain and put a big smile on the face of your lover. Customization - You can also get photo of your choice printed. E-mail us the photo that has to be printed on the crystal at info@winni.in. Please mention ORDER ID provided in Order confirmation mail to raise customization request.